Copic marker and sakura liner 3.5x5.5 I was listening to "Bluebird" and then "Blue Sway" came on. 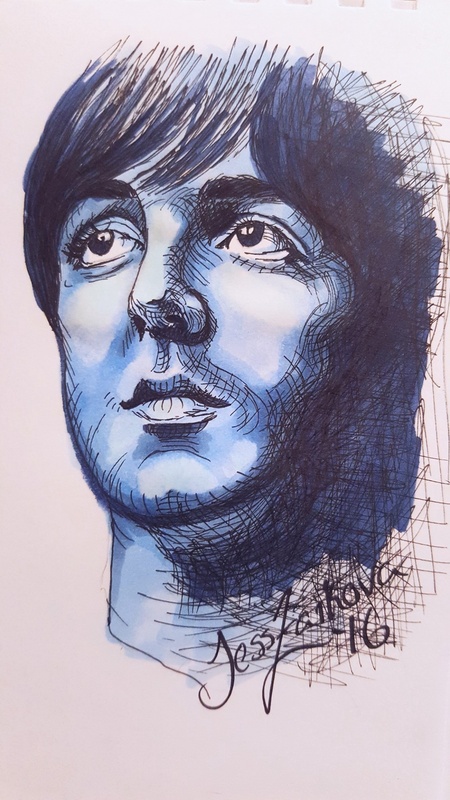 (Both McCartney songs) So I made a small creative connection in my brain and did a sketch. It set off a whole thing of me trying monochromatic portraits in every colour.